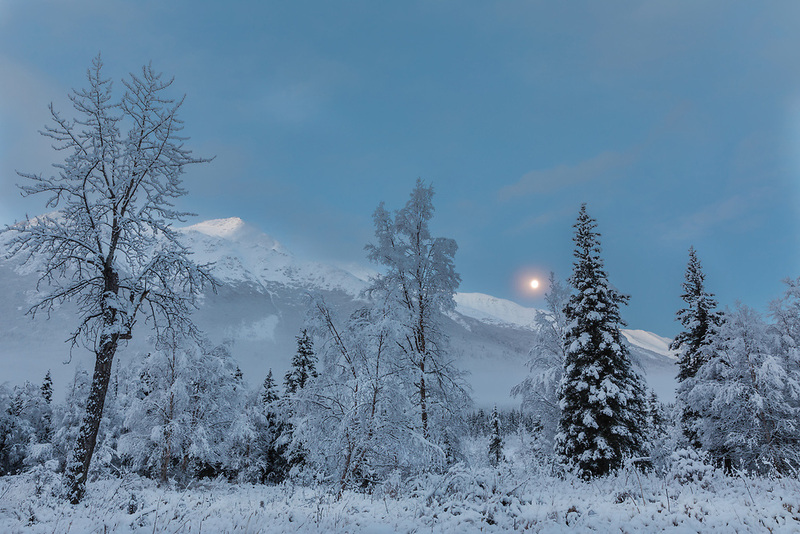 The setting moon over the Chugach Mountains and Chugach State Park in Southcentral Alaska. Winter. Morning.